We’ve known for a while that both the Pixel 3 and Pixel 3 XL will probably have dual front-facing cameras, but now we have a good idea of what that extra lens is for. According to sources speaking to 9to5Google, one of the lenses will be wide-angle, and the two combined will allow for better bokeh effects (the blurring of a background in a shot, often known as portrait mode). The camera will also apparently sport a mode or feature called ‘Super Selfies’, though it’s not clear exactly what that will be. As for improved facial recognition, that still seems up in the air. One of the sources claimed that the dual-lens camera may be used for that, but they apparently weren’t sure one way or the other. There’s also news on the rear camera, which on both Pixel 3 models is seemingly just a single-lens one. According to one of the sources it’s “powerful enough to not need a second camera”, with the low light capabilities apparently being “incredible”. The Pixel 3 phones will also apparently have a new Visual Core chip. 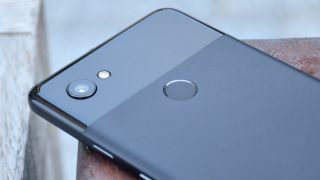 The first Visual Core chip was found in the Pixel 2 range and was used to improve the processing of HDR+ images, but apparently this new one will do more than that, though what exactly it will be capable of remains unknown. We should learn all the details in early October though, as that’s when the Pixel 3 and Pixel 3 XL are likely to be announced. And you might not even have to wait that long for answers, as the two phones are leaking more and more by the day.